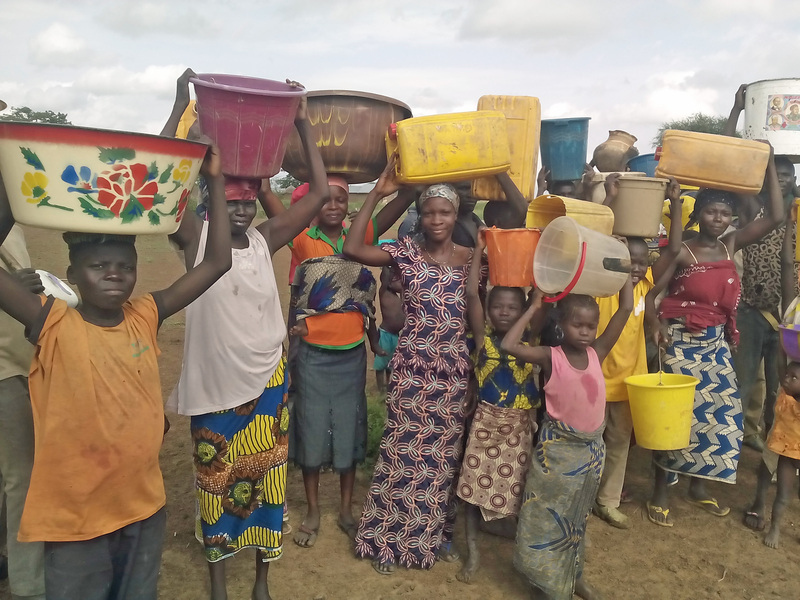 Village of Landongor Lawampe to receive a well. Next closest water is 5 miles away and looks about the same. 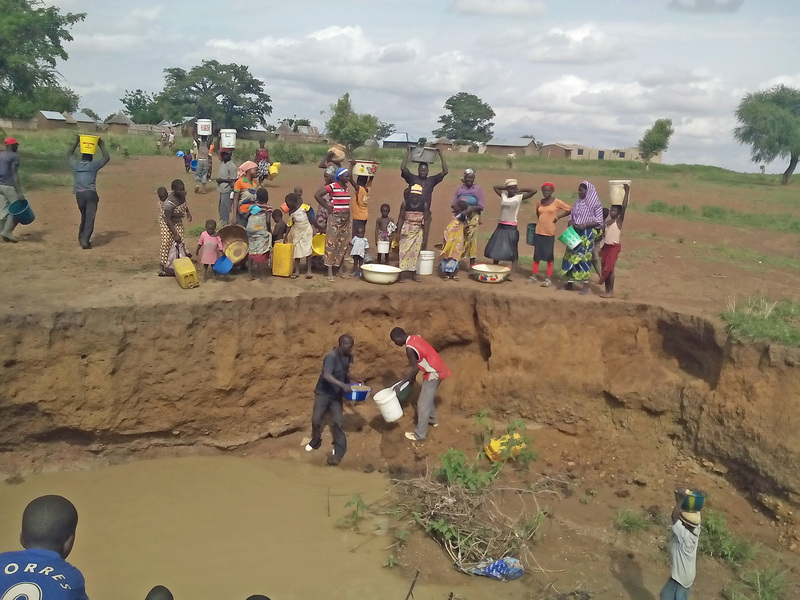 The village of Ladongor Lawampe’s only source of drinking water is pictured on the left. 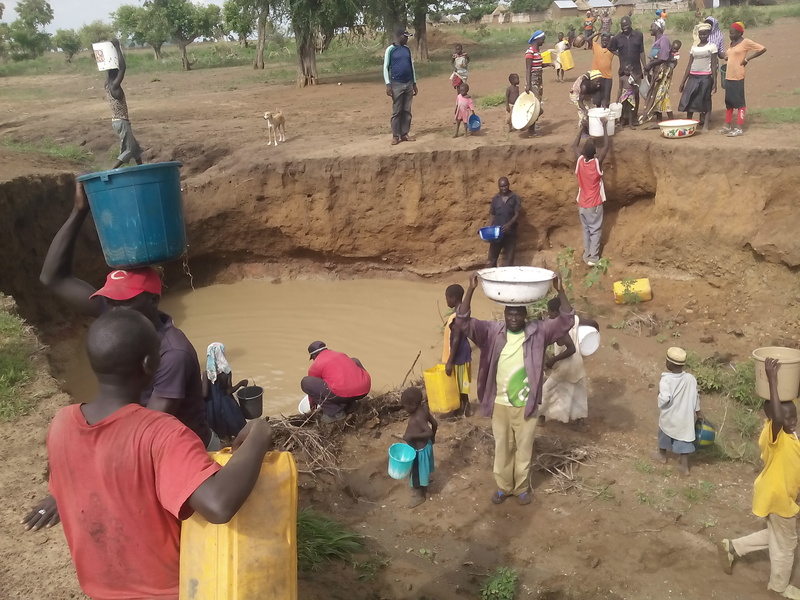 When Rambi Ayala, our Director of Operations for Africa, visited this village with the news that they would soon have a well, the people could not believe after so long a time their suffering was about to come to an end. 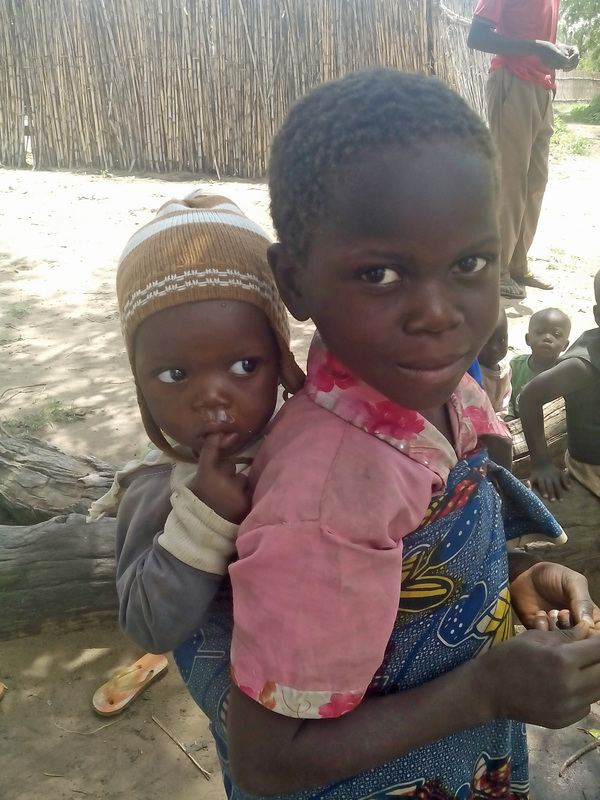 Rambi reported, “Sadly on my visit Saturday a child passed away while I was there due to complications from unclean water and treatable childhood ailments.” This serves as a reminder of why what we do is so important, and serves as well as motivation for trying to do even more. From the time they learn to walk, this is a part of their lives. Children are especially susceptible to disease under the age of 5 because their immune systems are not fully developed. 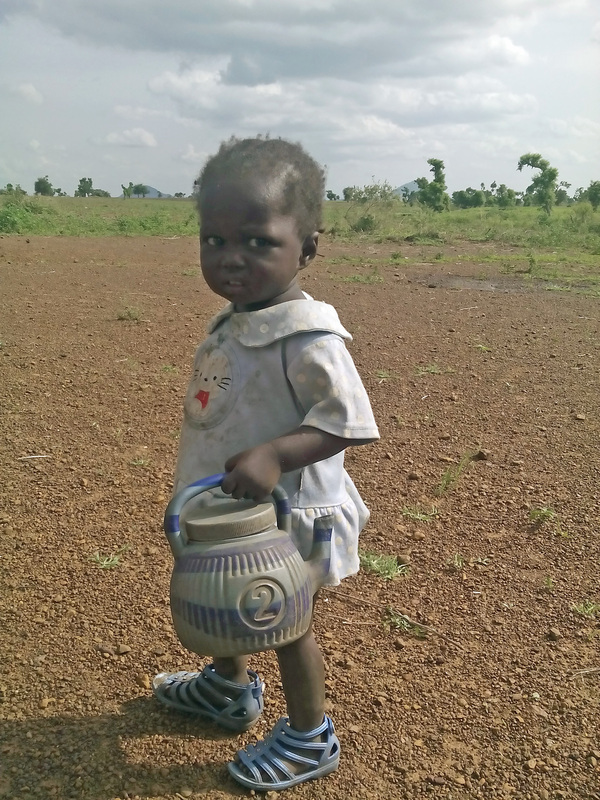 Clean water is life, especially to these little ones. I just learned this morning (7.7.14) that the well drilling for Ladongor Lawampe will begin tomorrow. This well was made possible by one of our most loyal supporters. I wrote a blog about Michael a few weeks ago. I hope you will read it and realize how important one person can be in changing the lives of thousands. These are the faces of lives that are about to change. that will be drill soon after this well. How would you like to provide or help provide the ninth well? Through a special arrangement with a local drilling company we are able to provide a well for only $3,000.00 or half the normal price. Could you give $300 and find 9 other friends or co-worker who could follow your example? Could you give $100 and find 29 other friends or co-workers to give $100. When you break down the numbers it is amazing what one person and a bunch of friends can do to bring lasting change to hundreds and hundreds of lives. Won’t you join us? Contact us if you need ideas. Click here to donate! 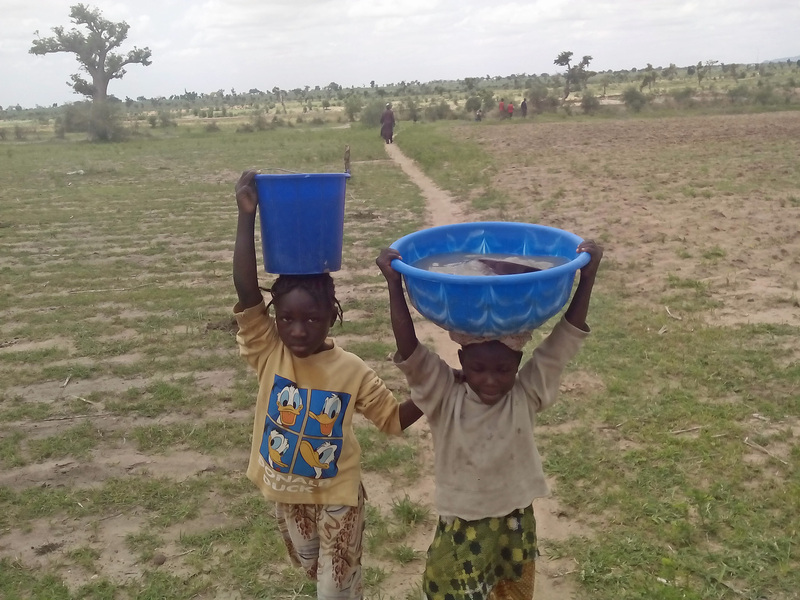 Categories: Children, Death, New Wells, Water, Well Drilling | Tags: Children, Death, New Wells, Nigeria, Water, Wells | Permalink. God bless hopespring and Hon Rambi for touching so many life througth d provision water and other relief material.thank u sir,go for him come 2015.